The Meditation period, will be doubled (only for those who have a 30 day package and upwards). With the Basic Package your rest time will be reduced by 50%. This will increase your activity and production. 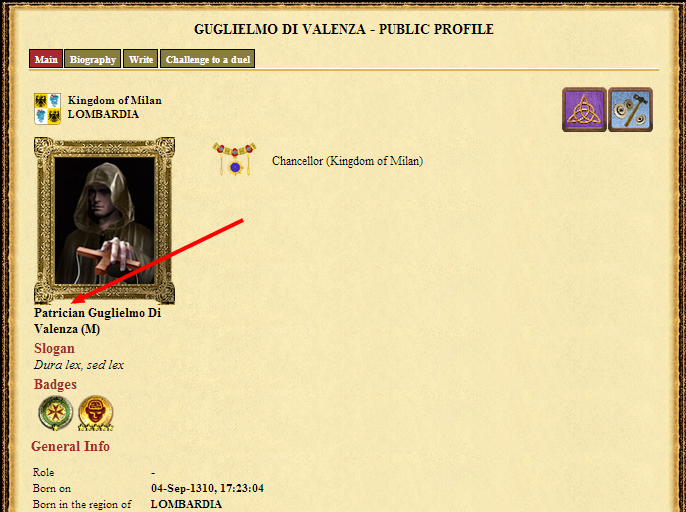 You will be able to choose a title that will appear on your public profile and in different pages of the game. You can also choose no title. Advertising banners won't be displayed to players that own the Basic Package. The Meditation period is ME Holiday Mode. When in meditation, your char doesn't need to eat. The Basic Package will doubled the meditation period (only for those who have a 30 day package and upwards). This page was last modified on 2 December 2016, at 14:50.